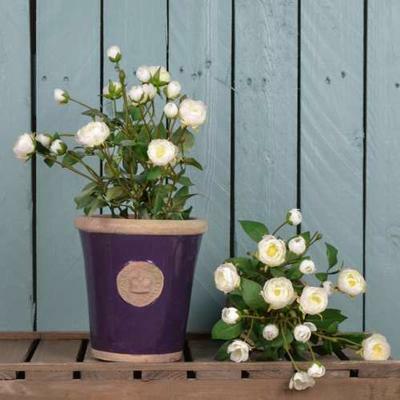 The Kew Royal Botanic Gardens Long Tom Pot Faux Baby Rose Shrub in Aubergine is a charming piece that can add beauty and drama to your everyday space. One of several colors you can choose from, this particular piece is placed on a rich aubergine pot that makes the lovely faux shrub stand out even more. Add this to your living room, bedroom or even in your kitchen. It would also look wonderful in a covered patio. If you want, you can also give this as a present to friends or family. The blooms stay beautiful all year round and you won't need to water it at all!